In theory, it gives you ability to share data between two OpenCart stores or between OpenCart and other CMS or beetwen OpenCart and mobile app or desktop programm etc. There is an ability to create OpenCart API keys in the admin area of your store (Menu->Settings->Users->API). Using these keys you can get OpenCart data programmatically. If you have a key, you can access OpenCart from your code. What can we do with OpenCart API? Unfortunately, not to much. For now, we can only work with a cart. 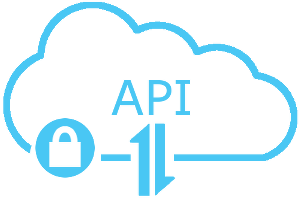 However, if you need more, you can easily create your own API methods to get another data from OpenCart. Very few API methods. For now, you can only "buy" some products programmatically. And that is all what you get from the box. Uncomfortable errors statuses which are returned by API. Sometimes it is string , sometimes it is object "error" with value "key", sometimes it is "warning", etc. It is difficult to handle all of these statuses. But of course, they are small flaws, it is very good that API system appears in OpenCart. Everything else what you need, you can add by yourself, every method. And I hope that OpenCart API system will evolve.